Responsabilité et Environnement - N° 88 - Octobre 2017 - Quel financement efficace des Objectifs de Développement Durable (ODD) ? 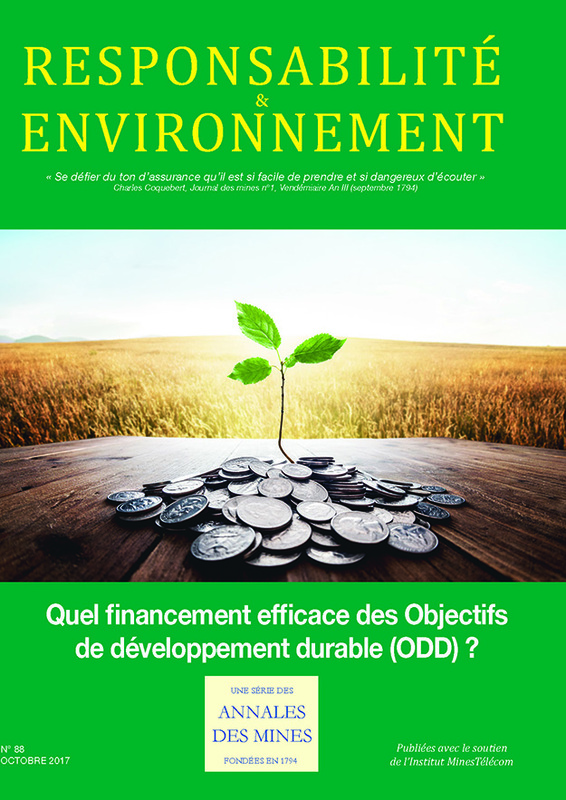 N° 88 - Octobre 2017 - Quel financement efficace des Objectifs de Développement Durable (ODD) ? The transition to a smarter, lower-carbon way of living will need a rapid transformation of existing and future city development. Investors are willing to help fund this transformation if we can find the right approach to infrastructure finance. We are seeing new levels of ambition by local authorities. Achieving it will require integrated planning and investment from both public and private sources. N° 88 - October 2017 - How to finance the UN’s sustainable development goals? N° 87 - Octubre 2017 - ¿Cómo financiar eficazmente los objetivos de desarrollo sostenible (ODS)?